This is the last of my articles for the month of May regarding wines, as I am trying to keep abreast (and very poorly I must say) of the events listed by the Wine Lover’s Calendar. One day I will actually be a real Wine Blogger and get this done in a timelier manner, but I digress, as I usually do. Oregon is a big wine producer on the West Coast and is located between the states of California and Washington. Grapes were first recorded to be planted in 1847 when it was still the Oregon Territory of the United States, but it only really blossomed for wineries in the 1960’s. While there are several varietals that are being planted and grown with good success, the three major ones are: Pinot Noir, Pinot Gris (Grigio) and Chardonnay. That very fussy and difficult grape Pinot Noir does very well there and it is one of my favorite varietals (for what that is worth). There are several notable AVA designations in Oregon. Perhaps the most known or at least the wine that is seen in the Detroit area is the Willamette Valley, which has six sub AVA districts of its own. The Southern Oregon AVA is a combination of the two AVA districts of Umpqua Valley and Rogue Valley. Then a couple of other noted districts are Columbia Gorge, Walla Walla Valley and Snake River Valley. I have only recently started enjoying some of the wines from Oregon, so I cannot even attempt to call myself an authority on their wines. As I look back on my notes, I have noticed that twice in my tastings of wines, I was with a fellow Wine Blogger Oliver of The Wine Getter, and actually so far, the only Wine Blogger that I have had the good fortune to meet in person. 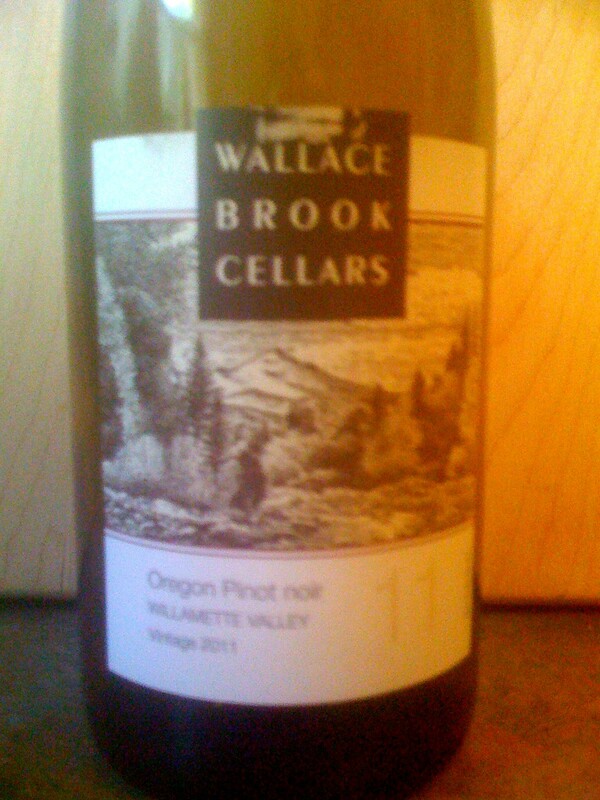 The time that Oliver and I met for lunch, we saw on the wine carte that there was a Pinot Noir from Oregon and Oliver remarked that he had never tried one, so we enjoyed a bottle of Wallace Brook Cellars Willamette Valley Pinot Noir 2011. 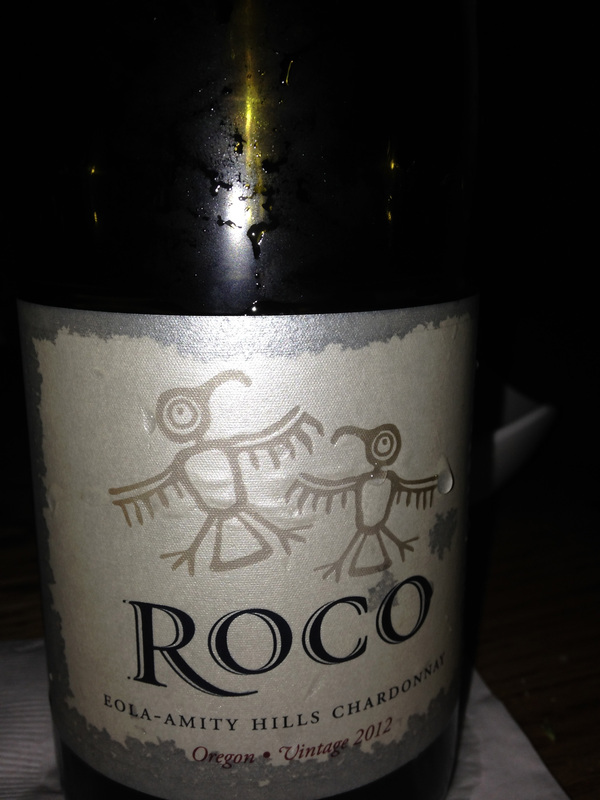 Another time that we were together for dinner with our spouses we ended up having some Roco Chardonnay 2012 which is from Eola-Amity Hills AVA which is a sub-region of the Willamette Valley AVA. I am sure that there will be many more wines that I will enjoy from Oregon as the years progress, after all, I am still learning and tasting wines and trying to enjoy them all. This entry was posted in Wine and tagged Oregon. Bookmark the permalink. Oregon has my favorite American wines. I love Pinot Noir, and especially the Oregon ones – they are so much more delicate and refined than the California ones, in my opinion. Cheers!